Private sector investors from various industries have pledged to support Ghana to implement the 31 climate actions contained in its Nationally Determined Contribution (NDC), developed in line with the Paris Agreement. The implementation of the climate actions are expected to contribute to global efforts to combat climate change. 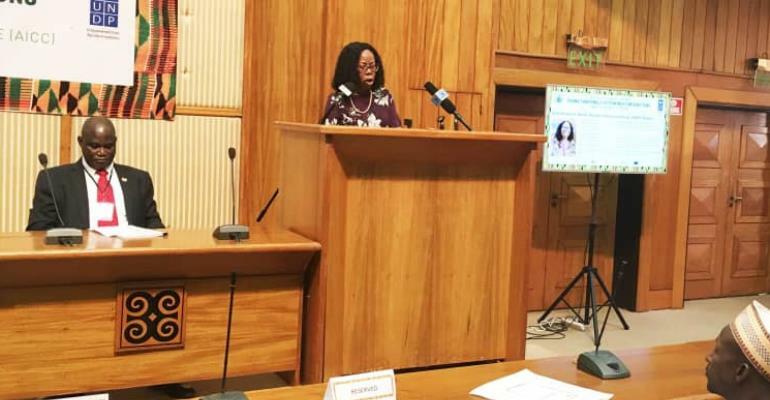 The pledges were made at an Investment Forum, organized by the Government of Ghana and the United Nations Development Programme (UNDP) during the Africa Climate Week in Accra. From 2020, Ghana needs to raise about USD 16.3 billion from multiple international sources including the private sector to finance the conditional climate actions in its NDC plan to be implemented over 10-years, which is estimated will cost the nation USD 22.6 billion. Panels at the forum discussed strategies to mobilize the needed investments to implement the climate actions, and private sector players at the forum pledged their readiness to support the country. “The private sector's interest for climate action is high, and this has already been demonstrated by the sector partnering with government and UNDP to develop a private sector investment guide for the country”, noted Nana Osei Bonsu, the Chief Executive Officer of the Private Enterprise Federation of Ghana. While discussing practical ways to accelerate private sector investments for projects that deliver climate solutions and financial returns, the panelists highlighted available tools. These include online platforms such as Sustainable Energy Marketplace and ClimatePlace, which function as global marketplaces, connecting project developers and investors, and also the Center for Climate Strategies, which offers training and technical assistance for the development of bankable climate projects. They also noted the willingness of multi-lateral development banks, such as the Africa Development Bank to provide financial incentives and de-risking instruments for investors. They recommended that such tools can be explored by Ghana and other countries to make investing in climate change projects attractive to private investors. The importance of strengthening partnerships for climate action was highlighted by the President of Ghana, Nana Addo Dankwa Akufo-Addo, who officially opened the Africa Climate Week. “Streamlining access to international climate finance to complement national funding will enhance practical ways to mobilise financial resources for the implementation of national climate actions, noted President Akufo-Addo. Similarly, speaking on behalf of UNDP, the Acting Resident Representative of the Ghana Country Office, Gita Honwana Welch, described climate change as the “greatest investment opportunity in history”. She indicated that addressing climate change will provide an unprecedented opportunity to unlock massive economic and social benefits that can help in achieving the SDGs. “Studies have found that bold climate action could trigger US$26 trillion in economic benefits by 2030 and create over 65 million new jobs,” remarked Ms. Welch. However, she also indicated that unlocking these benefits would require strong political will, sufficient financial deployment and improved stakeholders' understanding that climate change must be addressed in a wholesome and strategic manner.